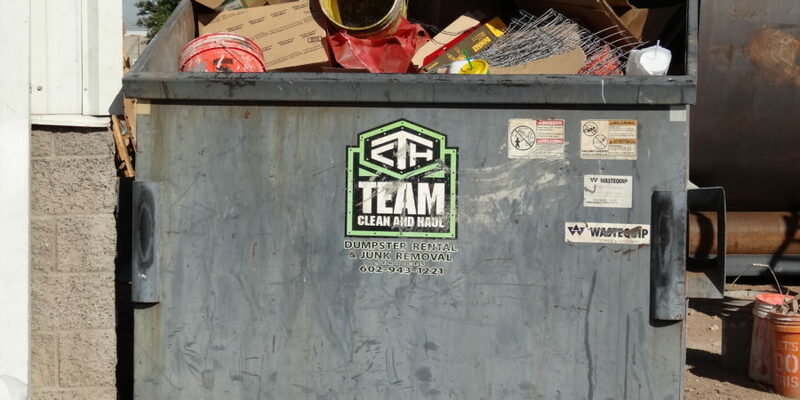 A leader in waste management, Team Clean and Haul offers 4, 6, and 8 cubic yard front load dumpster service for commercial and industrial customers in the greater Phoenix metro area. Let us show you why our customers choose Team Clean and Haul for their commercial waste management needs. Call us today. 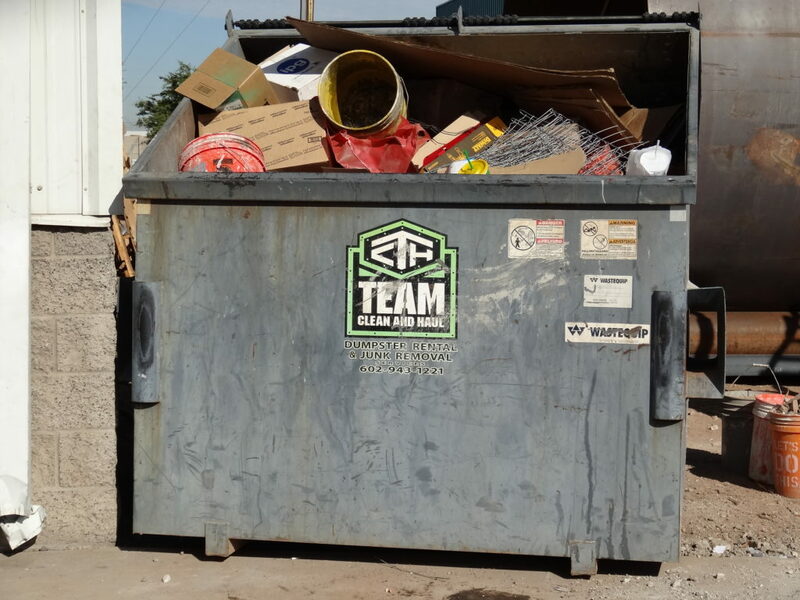 Team Clean and Haul is equipped to handle commercial front load dumpster service for commercial and industrial customers. We have 4, 6, and 8 cubic yard front load dumpsters in stock and ready to go. Our service is affordable, reliable and hassle-free. Affordability – Our prices are among the most competitive in the area. Prompt, reliable service – We’re fast! We pick up and drop off dumpsters in a matter of hours, not days. Experience – We’ve been serving the Phoenix area since 2006. Personalized service – Unlike the “big box” national dumpster rental companies, we’re able to give you the personalized one-on-one service you deserve. Clean, well-kept containers – We offer HOA-approved dumpsters.